You could splash out on a gym membership. Or you could buy a mortar and pestle and bash the living daylights out of a couple of Guajillo chiles for our Mojo Rojo. The difference? 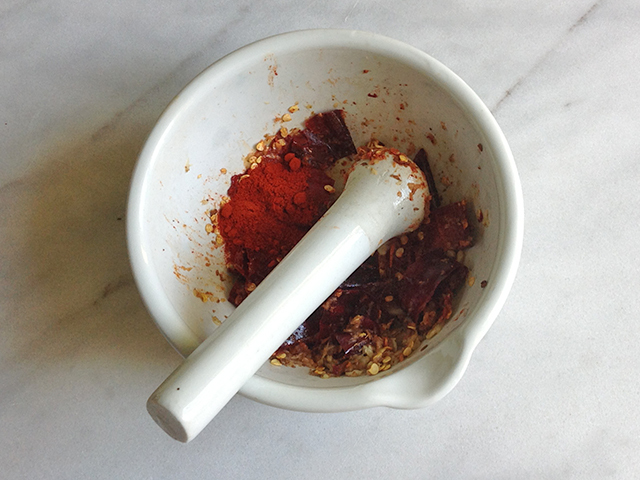 The mortar and pestle is a lot cheaper and you end up with a tasty condiment that you can slather on everything (almost). But the biceps, well they’ll be pretty much the same. Guajillos (pronounced gwah-HEE-yoh) have tough skins. If you’re soaking them (which I recommend) do it for a bit longer than you would say, a New Mexico red. They’re about 4-6 inches long and reddish-brown in color. They’re super popular in Mexico – one of the most commonly grown – and used for soups, stews, adobos, salsas – you name it. 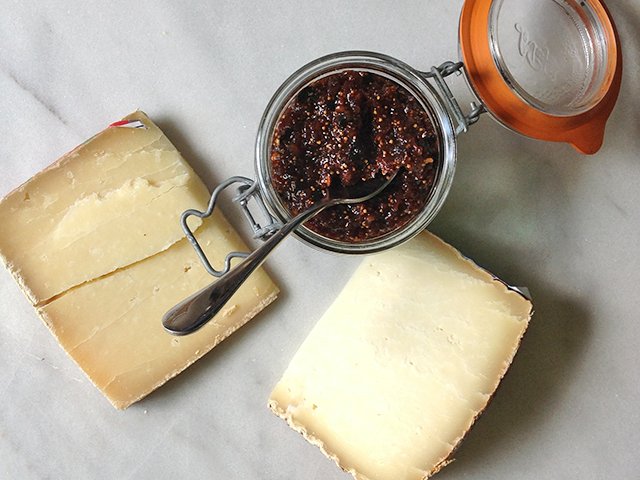 But back home, they’re not as well known which is a shame, since the Guajillo is a real culinary workhorse. 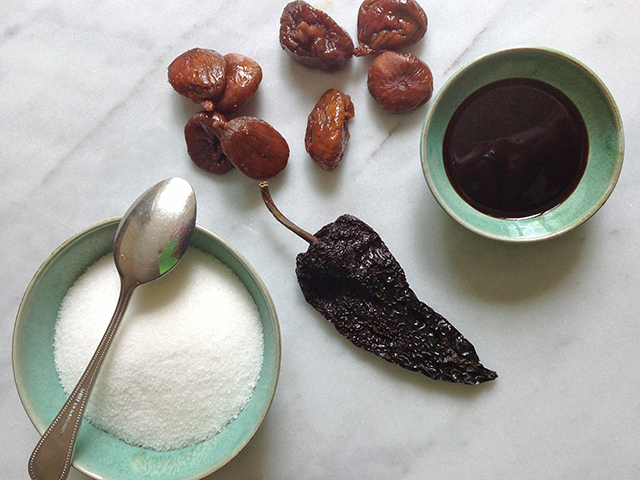 A Guajillo has some heat but not tongue-numbingly so. On the Scoville index it sits below the jalapeno. Take out the seeds to reduce the heat or – as I’ve done with the Mojo Rojo – leave them in. Because the skin it tough, it’s hard to end up with a smooth paste but that’s not a bad thing. 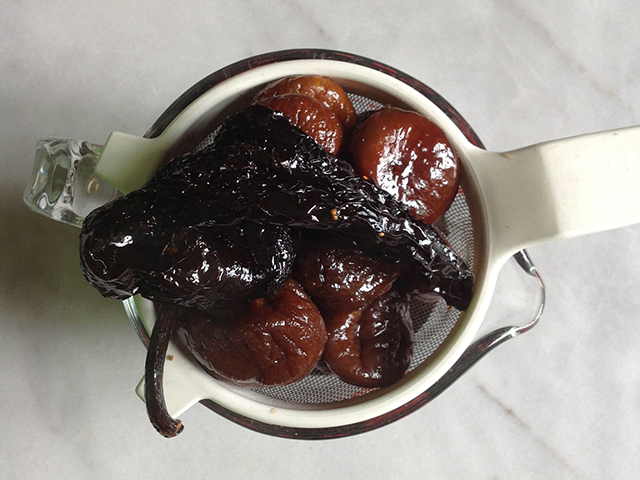 The Guajillo packs a lot of flavor – beyond mere heat –that you can pick up when your salsa or sauce or rub is chunkier. Mark Miller in his book, The Great Chile Book, describes a Guajillo as having a, “…green tea and stemmy flavor with berry tones.” Sounds good to me. As always with dried, whole chiles look for ones that are still pliable. 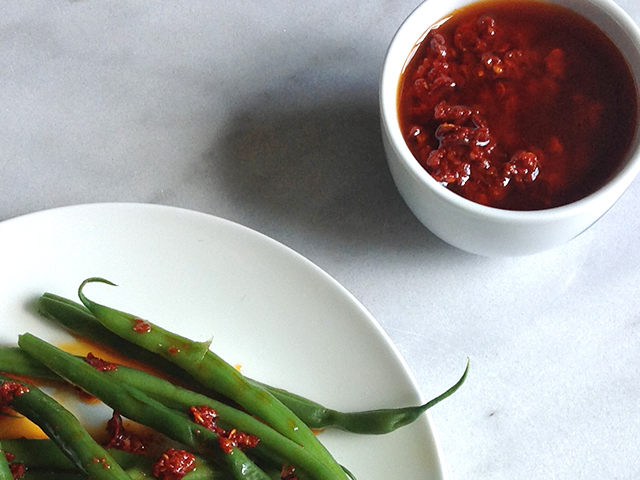 You may think that a dried chile should be stiff but that’s not true at all. It should give a bit when you bend it and never smell musty. Give it a sniff and enjoy those lovely warm, fruity aromas. Yes, you can make this in the small bowl of a food processor or a blender (wimp). But then you’ll miss out on the pure physical pleasure of pounding a Guajillo chile into oblivion. Your choice. Heat a frying pan on medium-high heat. Add the whole chiles and toast gently on all sides. 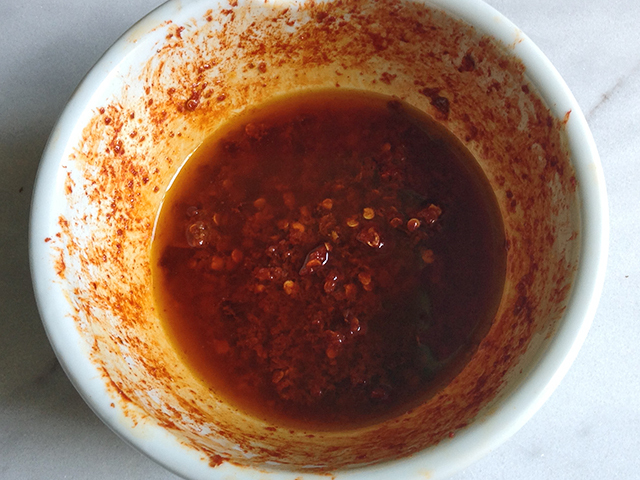 The idea is to bring out the flavor of the chiles but do not scorch or burn them. If you do, start over. 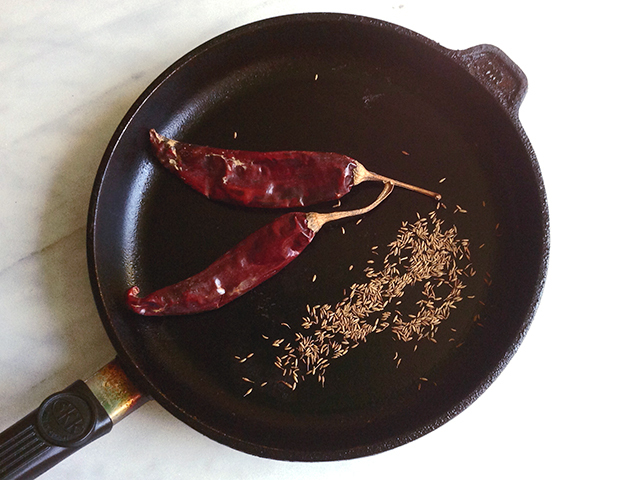 You can toss the cumin seeds in to – it will bring out the flavor beautifully. Place the toasted chiles in a bowl and cover with hot but not boiling water. Let soak in the water for about 15-20 minutes until pliable. Meanwhile, place the garlic, sea salt and toasted cumin seeds in the base of a mortar (or use a food processor or blender). Beat with the pestle until a rough paste is formed. Drain the chiles, remove the stem and roughly chop. Add to the mortar and pound until the chile is broken down into small bits. 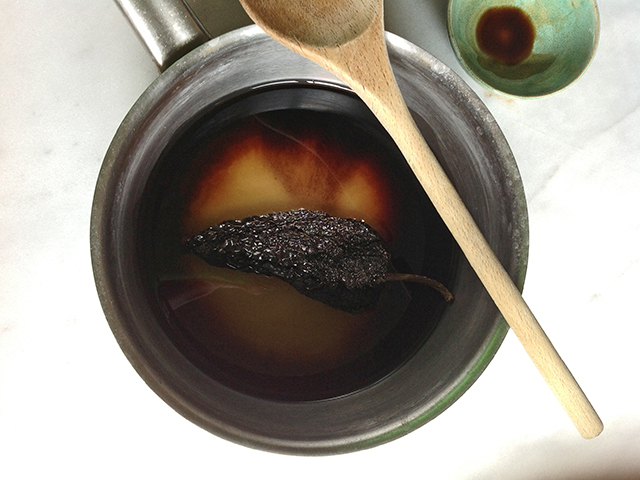 You are not going for a smooth paste – you’ll end up with seeds and chile pieces. Mix in the sweet pimenton, olive oil and vinegar. Season with salt if needed. EVER WONDER WHO ATE THE FIRST LOBSTER? Or who figured out how to make flour? 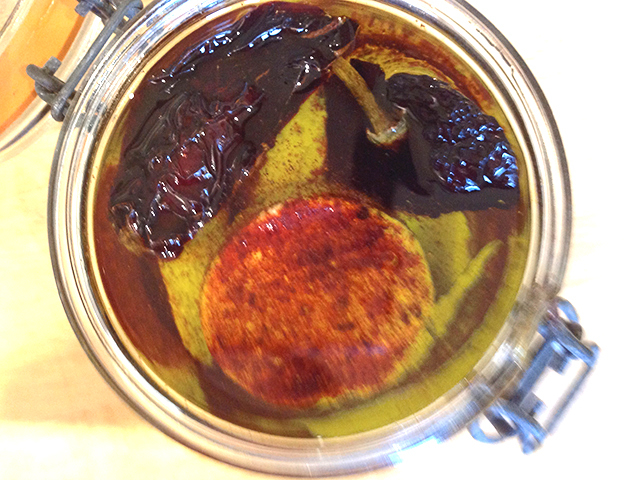 Or – hats off – the person who decided that pressing olives might be a good idea? Well, add to that list of unsung culinary heroes whoever decided to smoke and dry a jalapeño chile pepper. Because the result is the chipotle chile. The word chipotle comes from the Nahuatl word chilpoctli and translates into chile + smoke. It’s been the method for preserving thick-skinned jalapeños in Mexico for who knows how long. Sure, it’s a practical way of preserving them but it’s a lot more than that – it’s a way to transform the flavor that is nothing short of magical. To get a better idea of what makes a chipotle so special we spoke to Edward Ogaz of Seco Spices. Edward’s family has been farming in Hatch, New Mexico for three generations and he and his wife have owned Seco since the late ‘90’s. We asked if he smokes the jalapeño first or dries it. The answer? Both. The jalapeño is smoked and dried at the same time. In all it takes between 12 to 18 hours of slow delicate smoking and drying. During that time, the chile loses moisture and the color depends to a deep burgundy almost black color. The flavor intensifies too, as it takes on a distinctive smokiness. 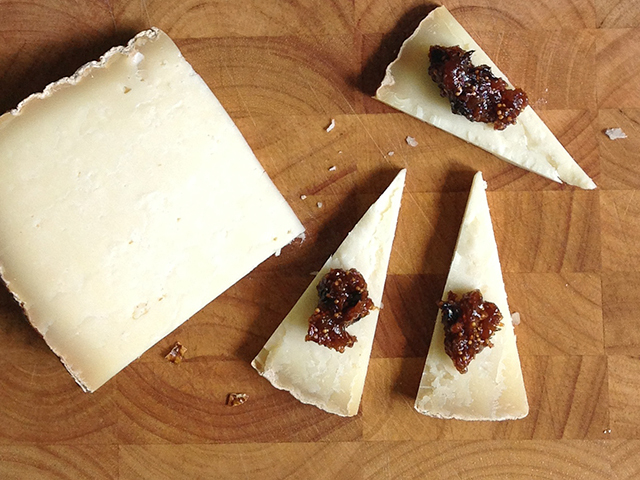 You’ll read comparisons to dried fruit, chocolate with hints of sweetness. We just think it tastes awesome. So what do you do with this wrinkly guy? You’ll find chipotle available in powder, whole chiles, or canned in adobo sauce (a piquant sauce made with tomatoes and vinegar). Chipotle is great in salsas, stews, and soups. 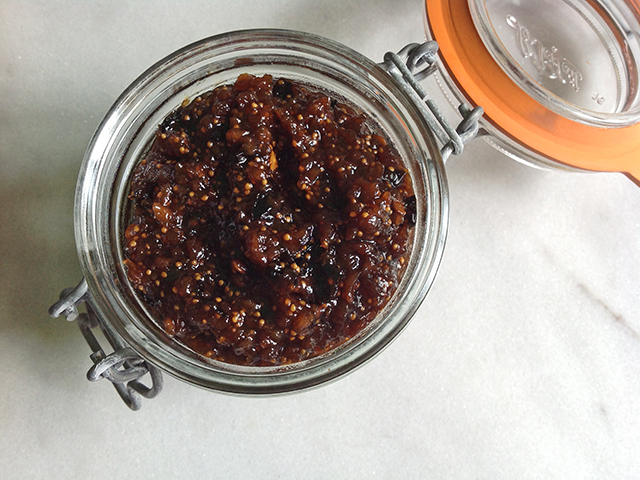 You can also make a mean barbeque sauce with chipotle. It’s lovely made into a glaze with butter and sugar for toasted nuts. Chipotle’s got some heat but it’s not OTT and the complexity of the chile flavor married with the smokiness is out of this world. Who knew that something so wrinkled could be so lip-your-lips gorgeous? Let’s face it, the world would be a kinder, gentler place if everyone ate more Mac ‘n Cheese. It’s a happy food that just makes you feel so gosh darn good. 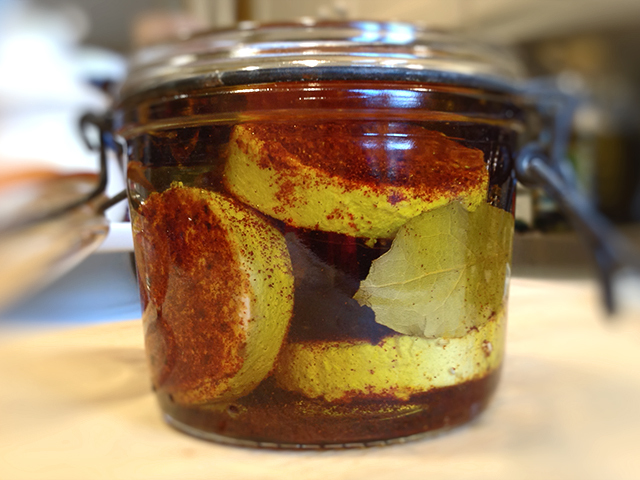 Now the good is great thanks to a dash (or two) of chipotle chile powder. The chipotle gives it a smoky lusciousness that is sublime. Do not blame us if you eat it all yourself. To make the breadcrumbs, heat the butter and olive oil in a skillet over moderate heat. Add the garlic, chipotle chile powder and breadcrumbs, stirring until the crumbs are golden brown. Season lightly with salt and set aside. For the pasta, add the penne to a pot of salted, boiling water. While the pasta is cooking make your cheese sauce. Heat the milk in a pan on the stove or in the microwave until it is hot but not boiling. Melt the butter in a heavy saucepan. Add the flour and whisk over low heat for 2 minutes. Do not brown or burn the flour. Add the milk slowly to the flour and butter mixture, stirring with a whisk and ensuring no lumps form. Add the chipotle chile powder, season with salt, and continue to cook, stirring constantly until the mixture thickens, about 4-5 minutes. Add the grated cheese and stir to melt. Drain the penne – do not overcook, it should be al dente. Combine the penne with the cheese sauce and ensure the pasta is well coated. Butter a flameproof baking dish and fill it with the penne and sauce. Top with the breadcrumbs and bake in the oven until hot, about 20-25 minutes. I have a recurring dream – ok, nightmare. In my ‘dream’, I wake up to a world that is devoid of all meaning…a world in which all that is good is gone…a world in which I no longer have the will to carry on. Yes…you got it. A world without green chile. I told you it was bad, didn’t I? When this happens, I dash to the kitchen, throw open the cabinets and reassure myself that It’s OK. We still have green chile.. This isn’t just my bad dream. It’s the bad dream of about 99.9% of the people in New Mexico. And let’s face it, you don’t want to know the other .1% The reason? We’re mad about chile. Over the top, crazy like a coyote, mad. We’ve been growing chile for hundreds of years and it’s our top agricultural crop (cue, inspirational music and fluttering of state flags). Now don’t get me wrong. 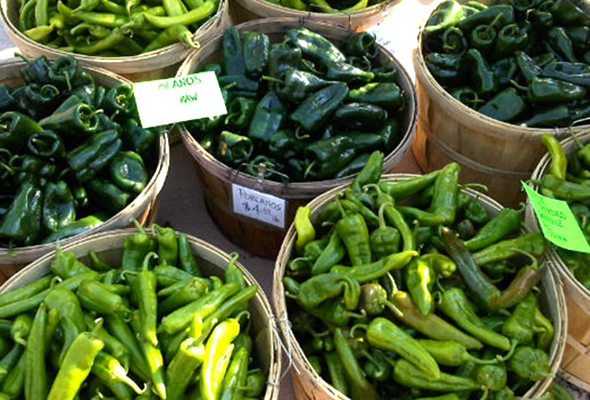 There are lots of chiles out there that are green (think green jalapenos, poblanos – you get the idea). But in New Mexico, when we say green chile, we mean the stuff we grow right here, either in Northern New Mexico or down south around Hatch. 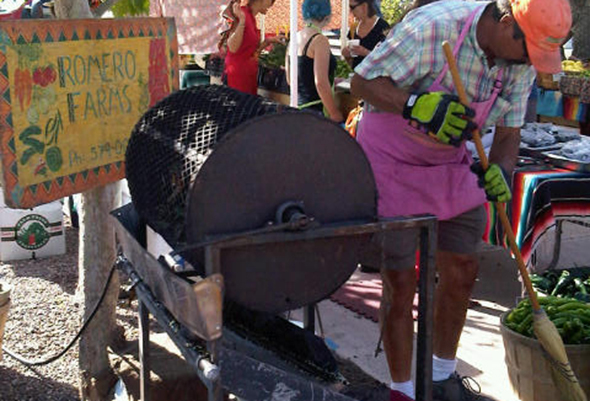 And every August our hearts start to flutter when we see the first chile roasters pop up along every roadside, parking lot, farmer’s market and backyard around. The place goes bonkers. The black wire cages fed by propane start turning and we stand there mesmerized. It’s the smell. It’s impossible to describe how intoxicating it is. And all the more so because we know it won’t last. 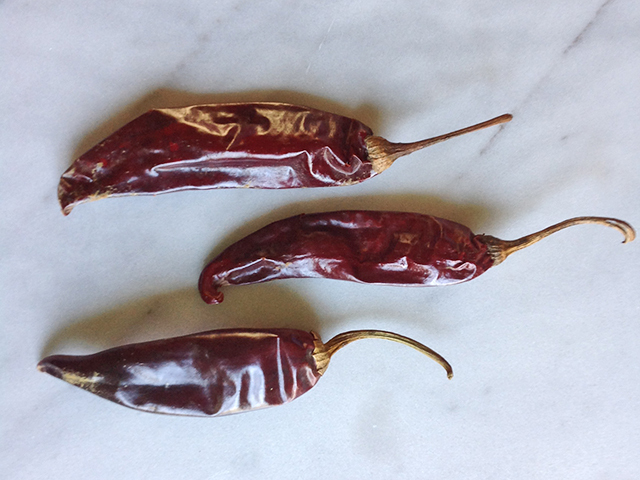 What’s the difference between green and red chile? Time (and taste). Green chile is harvested when it’s ‘unripe’ (which sounds a bit mean like someone introducing you as so-and-so’s younger brother or sister). But the point is that if green chile is left on the plant, it will turn red and develop a different flavor. Now that’s not a bad thing because red chile is fabulous. But it does mean that for a short window of time, New Mexico’s farmers are harvesting this year’s green chile crop, then it’s over until next year. Luckily, roasted green chile dries like a dream (this time a good dream). All you have to do is rehydrate it and it’s back in business. You can even pick up that elusive chile roaster aroma. So go back to bed…even when the roasters have been stored away for another year, you can still get your green chile fix. You’ve got to hand it to the French. They take ham and cheese and give it a fancy-pants name like Croque Monsieur and suddenly it sounds all oh-la-la. But you know what? A Croque Monsieur is pretty incredible because it’s more than a grilled ham and cheese sandwich. The egg batter makes it puff up slightly, so it’s all crispy on the outside and yummy on the inside. And this version is even better because the green chile gives it a nice kick. Serves 2, or one very hungry person. Whisk the egg, milk, red chile powder and salt to season in a shallow bowl, large enough to comfortably fit the bread. Place 2 slices of bread on the counter. Top with a layer of cheese. Cover the cheese with strips of green chile, then the ham and finish off with another layer of cheese. Place another slice of bread on top and set aside. Repeat with the other two slices of bread so you have two sandwiches. Dip the sandwiches in the egg batter. Heat the butter in the skillet. When the butter has melted and is slightly sizzling (but not burning!) add the sandwiches and cook on both sides until nicely browned. Slice each sandwich in half and serve. 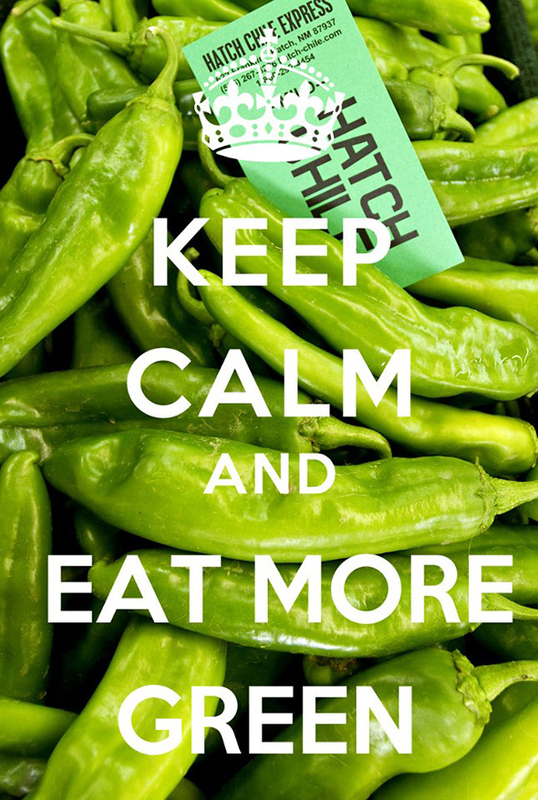 *You’ll probably have leftover green chile but what a great problem to have! Dice it up and toss it in chicken soup. Throw some on a tortilla with grilled veggies, a dollop of guacamole and crumbled goat’s cheese. Pop it on a burger. Puree it and make a sauce. What are you waiting for? Get going!